The islands nation of Tokelau contributed NZD$50,000 ($71,000 Fijian dollars) to the Pacific Islands Development Forum Secretariat as part of its voluntary membership contribution on Monday 20 June 2016. This amount was pledged by Tokelau during the signing ceremony of the PIDF Charter earlier this year in April signalling the formal accession of Tokelau to the Pacific Islands Development Forum. Tokelau has been a strong supporter to the concept of the Pacific Islands Development Forum since its inception in 2012 and has contributed to all its Summits and consultations. Their delegations were also instrumental in developing the PIDF Charter and also its flagship for COP21 in Paris – the Suva Declaration on climate change. 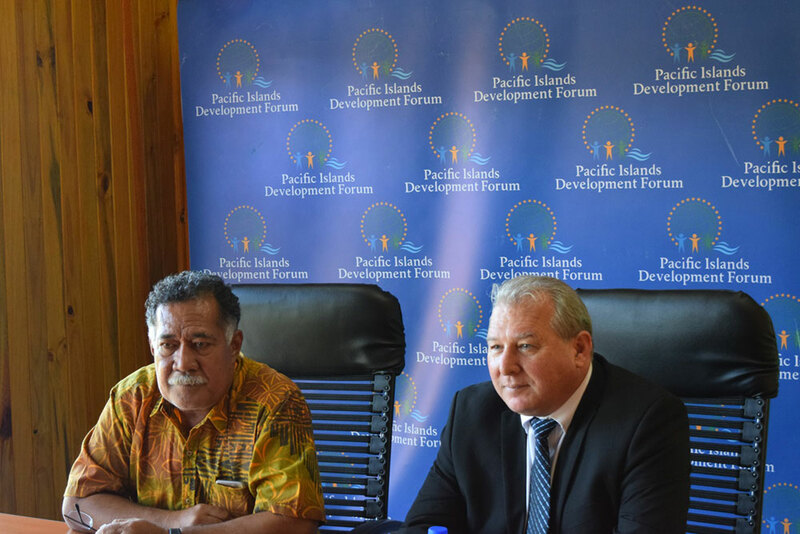 “We express our sincere appreciation to Tokelau for their timely volunteer membership contribution as PIDF prepares for the upcoming Leaders’ Summit in Honiara from the 12 to 13 July,” said PIDF Secretary General François Martel. 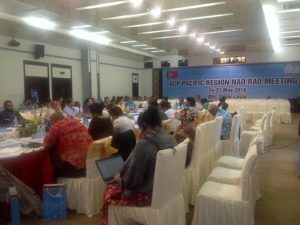 Secretary General Martel acknowledged the continued support of Tokelau to PIDF, so it can continue to have a voice and opportunities in the Pacific realm and to ensure that “no one is left behind” and also encouraged other members of PIDF to provide their voluntary membership contributions. Tokelau is also a member of the Coalition of Atoll nations for Climate Change (CANCC), one of four Pacific islands atoll nations engaged with the PIDF. 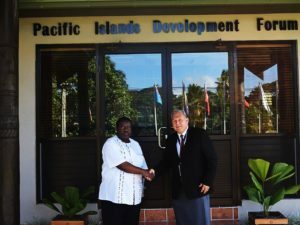 “We are indeed very appreciative of our members that have given in their contributions such as Fiji, Vanuatu, Solomon Islands, PIANGO and now Tokelau but we would like to encourage other members to also make their pledges and contributions to PIDF a reality”, further added Secretary General Martel. 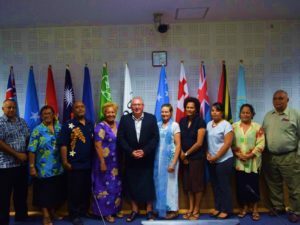 Tokelau became the 12th member of the PIDF (10th country member) in earlier this year. 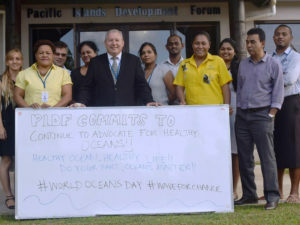 Other PIDF members that have signed the PIDF Charter are: Fiji, Kiribati, Republic of Marshall Islands, Federated States of Micronesia, Nauru, Solomon Islands, Tonga, Vanuatu, Tuvalu, Pacific Island Association of Non-Governmental Organisation and Pacific Island Private Sector Organisation.